There are many different design details to choose from when creating your very own custom staircase design. 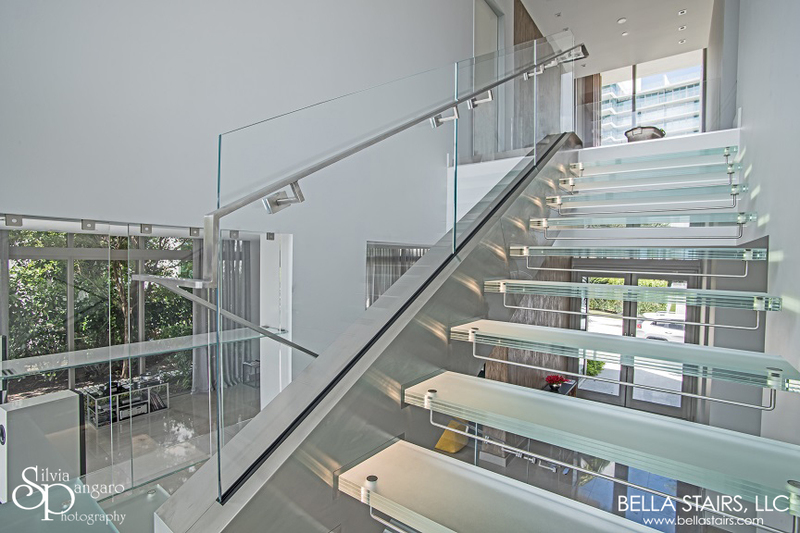 One of those design options are incorporating LED Lighting into your custom staircase! 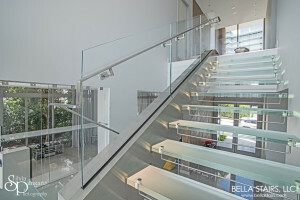 Illuminate your custom staircase beautifully with these lighting design ideas. 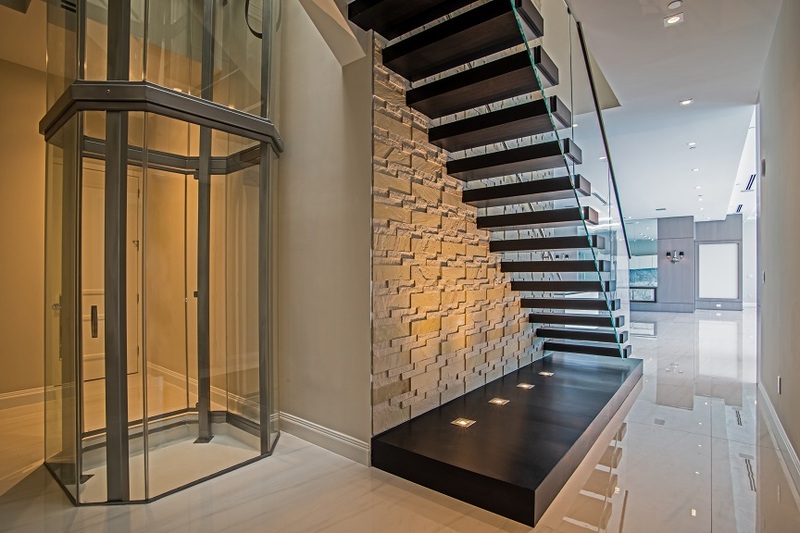 One way you can incorporate LED lighting into your staircase design is by installing them directly into the treads. We have been able to successfully install LED lighting into both wood treads and frosted glass treads. Installing LED lighting into the treads add a unique modern touch to the overall aesthetic, as well as, allowing for the staircase to stay illuminated at night. Another creative way to incorporate a lighting option into your staircase design is by installing it underneath the treads. 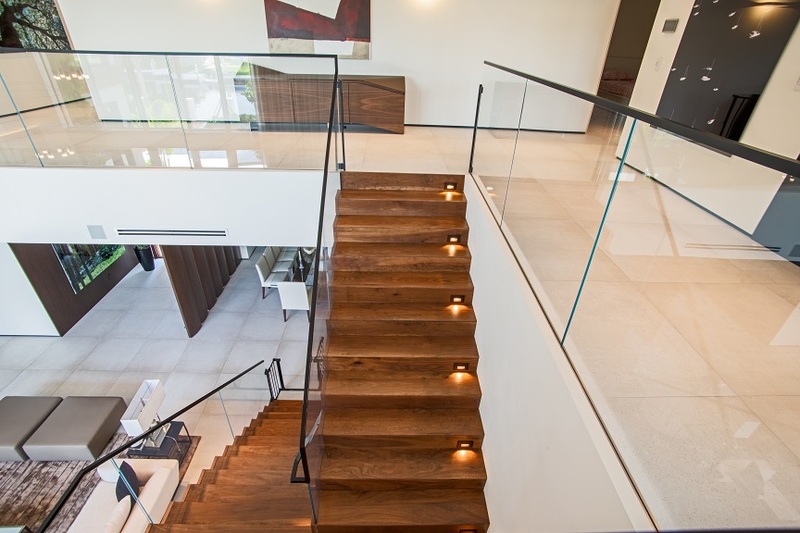 For this cantilevered staircase design, lighting was incorporated into the staircase by installing an illuminated platform. This illuminated platform includes four built in lighting pods which illuminates the staircase beautifully from underneath. A unique feature that can transform any space into modern times. The illuminated platform includes built in lighting to illuminate this immaculate staircase.